Prarthana Shankar Selected For A Student Travel Award for the 2019 Teratology Society Annual Meeting! Congratulation to Prarthana Shankar for being awarded the Dr. Eric Andreasen Graduate Student Award! 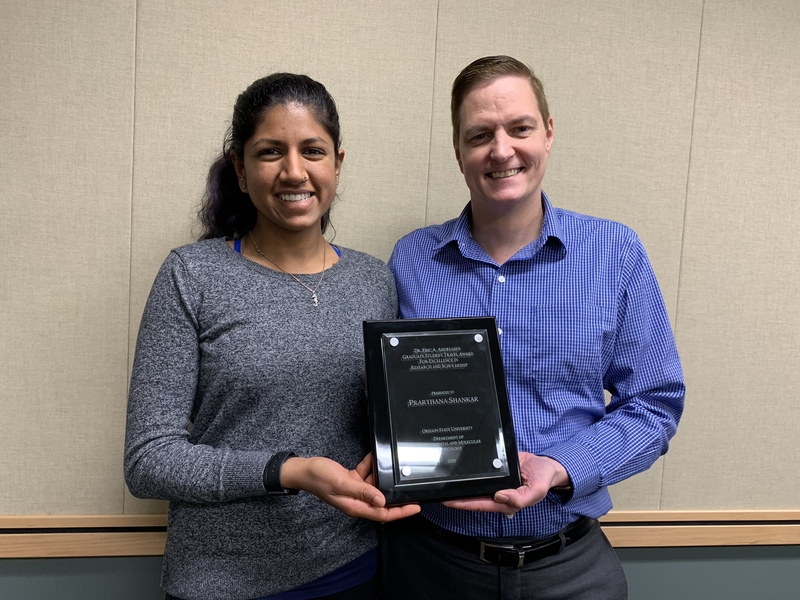 Prarthana Shankar was awarded the prestigious Dr. Eric Andreasen Graduate Student Travel Award 2019! The February issue of Environmental Factor has highlighted our paper on the research of using zebrafish for developmental neurotoxicity. Discover and explore the Sinnhuber Aquatic Research Laboratory!